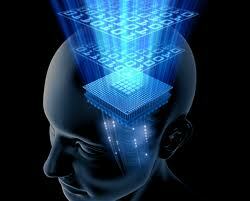 I just watched Chris Milk’s recent TED talk about virtual reality. He calls virtual reality the ultimate empathy machine. I see the vast potential of virtual reality – its use in therapy for psychological conditions like PTSD, gaming, education, and as a tool to help people create beautiful experiences. But I have to admit, my gut also has told me that virtual reality has more costs than benefits, more risks than payoffs. Perhaps I’ve read one too many future dystopia sci fi novels, but I have often thought that the temptation to reside in an artificial, constructed world of our own choice and design is too tempting for most of us; that eventually, when virtual reality is sophisticated enough, it will keep us from engaging in the “real” world in the ways we need to in order to have have substantial and lasting happiness. Think the creepy, organic virtual reality game consoles called “game pods” from the 1999 David Cronenberg film eXistenZ, and that’s where my mind goes. But Chris Milk might have just convinced me to question my gut, to think more of the artistic and humanitarian potential of virtual reality. Watch the talk to hear more about the amazing work he’s doing with the UN to vividly portray the plight of refugees to policy makers and the public through virtual reality. He also showed a film of the interactive art installation he created called The Treachery of Sanctuary. 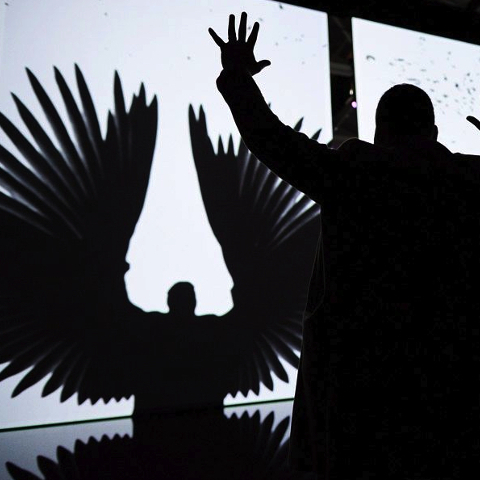 A boy stands in front of the piece, becoming a bird on the screen that he is viewing ….until all of sudden he takes flight to join the flock. I have to ask myself, why did that bring me to tears? Chris Milk believes that virtual reality is a machine that makes us more human. Perhaps the benefits could outweigh the risks.